Although the overall intensity of violence in Syria has decreased, civilians continue to be killed by air and ground-based strikes, Mark Lowcock, UN Under-Secretary-General for Humanitarian Affairs told the Security Council on Thursday, during a briefing on the current situation in Syria. Mr. Lowcock detailed several other areas of ongoing concern regarding the protection of civilians, and updated the Council on the various forms of humanitarian aid being delivered. Insecurity continues, he said, and incidents affecting civilians are reported every day. One example he gave was a mortar struck in late November which hit a primary school in Jarjnaz town just as students were leaving, killing four boys and two girls and injuring 10 other children. 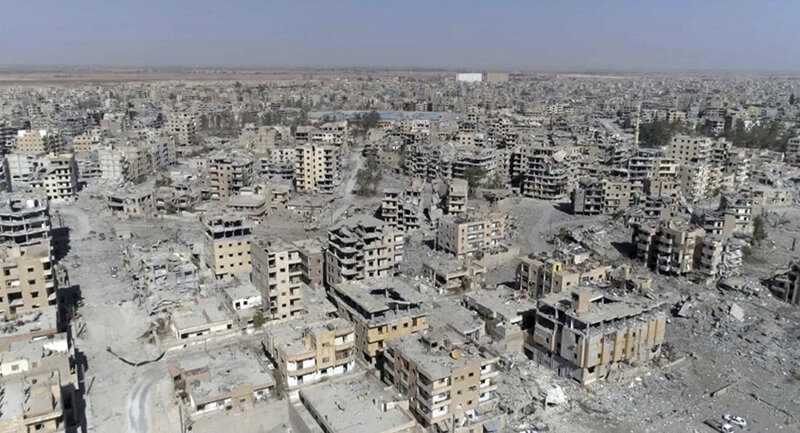 Humanitarian organizations estimate that up to 6,000 civilians are trapped in pockets that are still under the control of ISIL militants east of the Euphrates in the Deir-ez-Zor governerate. These civilians continue to suffer as a result of ground fighting and airstrikes, one of which reportedly hit a field hospital in the area, killing and injuring scores of civilians, including women, children and medical staff. No aid has reached displaced people in the area since October. A recent humanitarian mission, said Mr. Lowcock, was forced to turn back when its vehicles came under attack and an aid worker was shot. The Emergency Relief Coordinator expressed concern about the situation in the Rukban refugee camp on the border with Jordan, where over 40,000 people are sheltering. 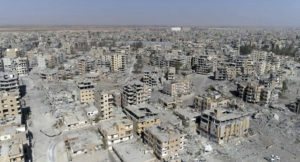 The UN update report on Syria delivered to Security Council members earlier this week, reported that refugees have limited and irregular access to basic services, deteriorating health conditions, and are living in a state of fear caused by criminality and the risk of violence, he said. A statement from Geert Cappelaere – the UN Children’s Fund (UNICEF) Regional Director for the Middle East and North Africa – also released on Thursday, gave further information on Rukban: freezing temperatures and a lack of basic commodities is leaving thousands of people at risk of disease and death. This week alone, two sick babies have died in the camp. Deploring the persistence of areas classified as “hard-to-reach” by aid, he said the UN humanitarian effort is making progress. In the last three months, over 550 missions have assessed, delivered or monitored the delivery of assistance, and the UN’s field presence beyond Damascus has expanded, enhancing the Organization’s ability to engage with communities, assess needs, deliver assistance and monitor impact. Posted by KanelkaTagba on Dec 14 2018. Filed under Headlines, World News. You can follow any responses to this entry through the RSS 2.0. Both comments and pings are currently closed.